Knit something warm for any age group or gender. Use up stash and learn a new skill. 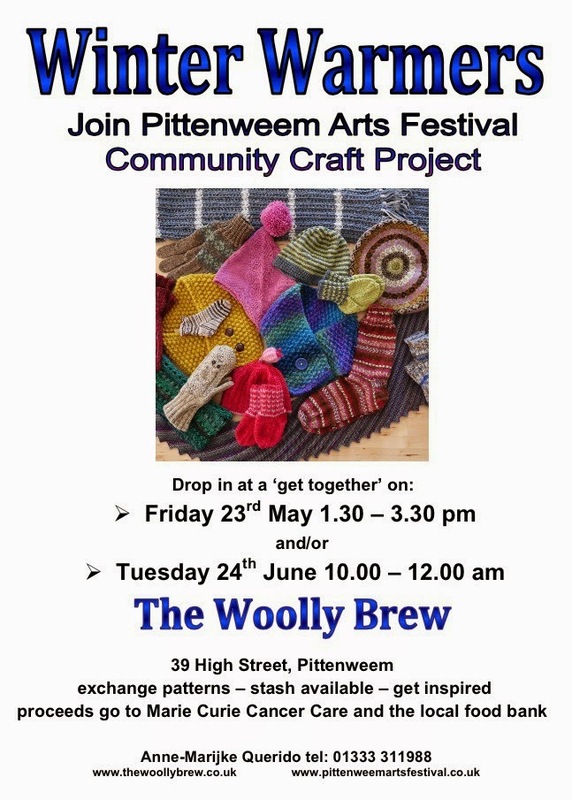 You can meet fellow crafter and project co-ordinator Anne-Marijke at the next get togethers in the shop - Friday 23rd May and Tuesday 24th June. Get inspiration and maybe swap some stash yarn. We've continued to add to our Winter Warmers Pinterest board with LOTS of free patterns for legwarmers, hats, socks, scarves, headbands, gloves, hot water bottle cosies... so far there are over 80 patterns, and we'll continue to add to them.